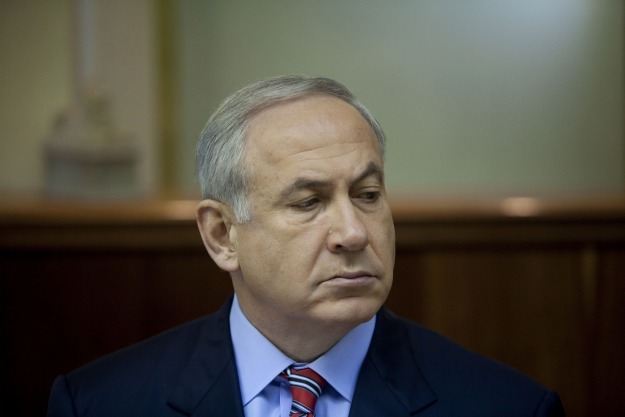 Netanyahu is seeking support in his cabinet for a military attack on Iran. Shimon Peres has just said an attack is “more and more likely.” This, despite the fact that numerous leaders in Israel’s security establishment, including former Mossad chief Meir Dagan, feel that such action would be disastrous. Make no mistake: this has nothing to do with any imminent threat and everything to do with politics. Even Defense Minister Ehud Barak has said publicly he doesn’t believe Iran would ever drop a nuclear bomb on Israel. (Newt) Gingrich…declared at the week’s end that if the Israeli prime minister reaches the conclusion that the country is in danger, no American president could doubt it and expect Israel to sit with its arms folded and face the danger of another Holocaust. One of his rivals for the candidacy, Rick Perry, then hastened to announce that if Israel decided to attack Iran, he would demand that the United States stand behind it. What do they have to lose? If this is a false threat designed to goad the United States into exerting more pressure on Tehran, they can wave their support. If a military assault is a new version of the last war in Iraq, they will be able to place the blame on President Barack Obama. The problem with all this political saber-rattling, as Iran analyst Trita Parsi correctly points out, is that the more Israel presses its cynical “another Holocaust” narrative against Iran, the harder it will be “for any Israeli politician to walk back the threat depiction without losing critical political capital at home.” In other words, all this political bluster could well create a disastrous military fait accomplis. A unilateral attack from Israel…would be a grave mistake for all the reasons made plain by Meir Dagan and so many others. It is terrible enough to imagine what might happen if Iran came to possess a bomb; but an attack now would almost certainly lead to a tide of blood in the region. The Middle East today is in a state of fragile possibility, full of peril, to be sure, but also pregnant with promise. A premature unilateral attack could upend everything and one result of many would be an Israel under fire, under attack, and more deeply isolated than ever before. This entry was posted in Current Events, Iran, Israel, War on November 7, 2011 by Rabbi Brant Rosen. Pingback: Beyond The Yew : Saying NO to Globalism! Why would one attack a nation that says they have nuclear capability? Netanyahu just keeps dragging the U.S. further and further into the mire of its cesspool. Who is going to have the courage to say NO to this monster!?? There are so many people who write and call and say to those in power – Please say NO to Israel – but they just keep on doing what they please!! What else can we do except throw ourselves “in front of the train”?? ?